Every time you come to SANĈTUM, you’ll get a different skin treatment. Why? Because we create the exact treatment your skin needs right now. Not what you needed last week or last season. Our therapeutic facials are individually tailored to address a variety of skin issues including acne, congestion, dryness, sensitivity, rosacea, dermatitis, ageing, pigmentation and wrinkles. Our therapists give you an expert and detailed analysis every visit. They call on their in-depth training, and create a treatment using dermaviduals® products. Our facial and skin treatments work a bit differently to other clinics. Rather than offering the same treatment to everyone, or giving you a menu of fancy names to choose from, we create a customised treatment for you. Foundation Facial (Also perfect as a maintenance facial). We thoroughly cleanse your skin, exfoliate and apply a selection of masks and serums, establishing a solid base for more specialised techniques. 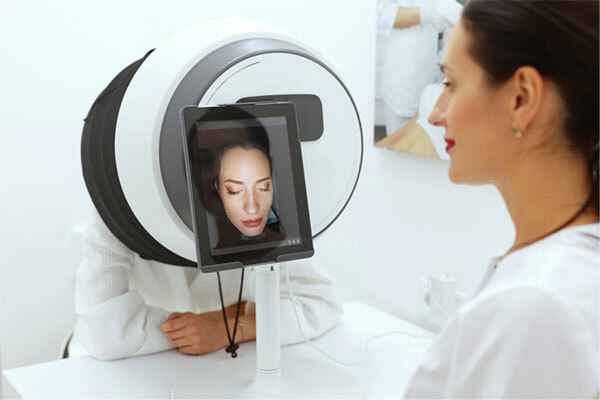 Your therapist will choose your additional treatment based on an expert analysis and the needs of your skin. These add-ons may include LED Light Therapy, Enzyme or Algae Masks or Eye treatments, each costing $45. If three or more add-ons are used, our price to you is capped at $200 – no nasty suprises! This is explained prior to commencement of the treatment. As we are an exclusive stockist of dermaviduals®, you can trust that both product and our expertise are second to none. You can relax in all aspects – you’ll be in expert hands. you and allow you to bare your back with confidence. mask using customised serums. We finish with a massage using a hydrating moisturiser. Extractions are done if required. 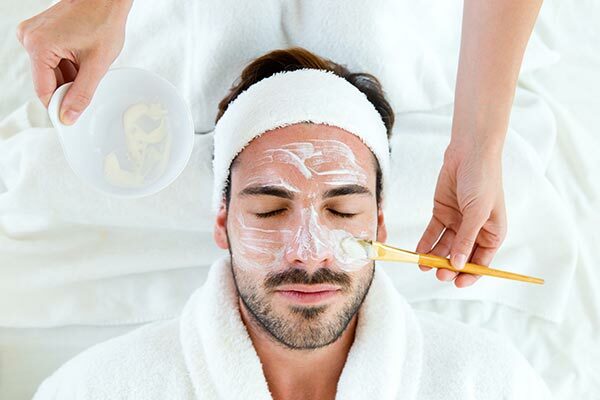 Nourish and soothe your tired skin with our customised facial for men. This is a deeply cleansing treatment that gives you a healthy glow. 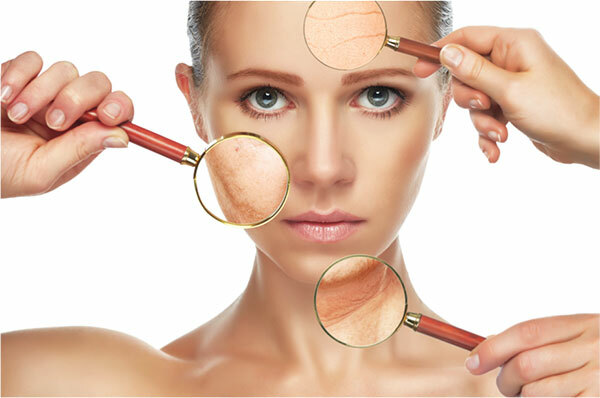 As always at Sanctum, we tailor every treatment to suit your skin. We treat a range of skin issues from shaving rash, blemishes, ingrown hairs, sun damage, irritations and skin conditions. It includes a shoulder and scalp massage.